Our Conference on Applied Puppetry was on June 1-3, 2018, in Calgary, AB, Canada. Our next conference will be in 2020! We’ll be sending out a Call for Proposals in the spring of 2019 for our next Puppet Power conference in May/June of 2020. We’ll be looking for workshops or presentations related to the theme we choose (TBA). Puppet Power Committee! Want to get involved in planning and organizing our next conference? At our 2018 conference we explored the transformative power that puppetry has to tell stories, inspire dialogue and make meaning of our world today! 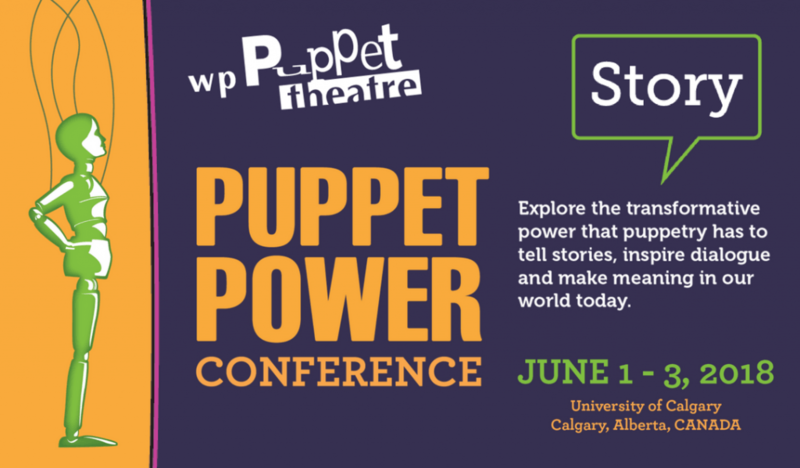 The Puppet Power conference helps people discover a new way to impact change in the world by using puppetry. The conference presents key learnings and tools vital to professionals in education and healthcare, therapists, and visual and performing artists. Sparking the imagination, the conference is for anyone inspired to express themselves creatively, develop personal and professional skills and promote positive social change. 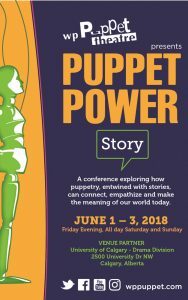 Offering world-class professional development, Puppet Power 2018 featured award-winning local and international presenters and master puppeteers, sharing their stories and skills in an educational, engaging and fun environment through hands-on workshops, talks, panels, and special networking events. THANK YOU TO OUR SPONSORS, PARTNERS, AND VOLUNTEERS! 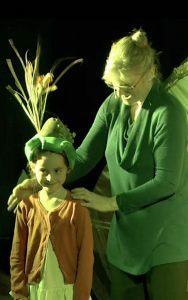 Life Outside The Box from Corina Duyn on Vimeo. Beginning with Native oral stories, King weaves his way through literature and history, religion and politics, popular culture and social protest, in an effort to make sense of North America’s relationship with its Aboriginal peoples.